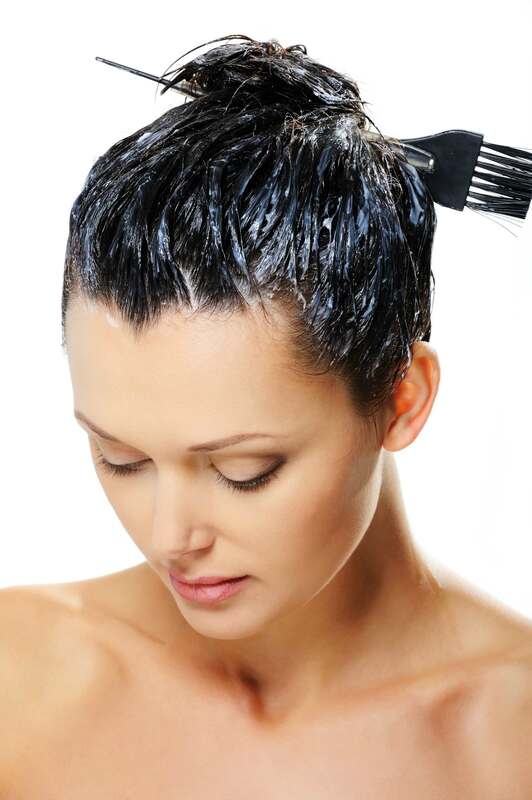 We all know at-home hair dyeing can be tricky, but if properly done, it can be quick, cheap with salon-like results. In case you want to touch up your roots or liven up your natural hair colour within two shades, darker or lighter of the current colour, you should give it a try. But keep in mind, extreme hair colour changes are best left to a salon colourist who knows how to assess tones and minimize damage. First of all, you need to figure out how many boxes you will need. I bet you do not want to run out of dye halfway through the process. So for home hair dying I recommend to buy two boxes in case your hair is shoulder length or longer. Never trust the model on the box. The colour always ends up lighter than the model’s hair. Better check the chart on the top of the box, which shows you the final colour you get from a range of different hair-colour shades. If you are going for a colour you have never tried before, the best to avoid your hair turning orange or purple is taking a strand test. Just test the colour on a hidden part of your hair and check the result before you fully commit. I always get the best results with L’oreal Paris hair dyes. My first tip before you even start, is to wear an old t-shirt to avoid staining your favourite clothes. I also recommend gliding a clear lip balm, vaseline or face cream along your hairline, so you avoid stripes of colour on your forehead. Make sure to mix the dye in a glass or plastic bowl. A metal bowl will oxidize the dye and cause it to change colour. When applying the dye, use a colour brush to get more precise results. Do not forget to read and re-read the instructions! If you are about to touch up your roots only, make sure the colour will not end up on your ends too. The ends are more porous, and they will absorb the colour very quickly. In case you want to avoid that, you can either apply conditioner to your ends before you start with the hair colouring or you can mix one teaspoon of cornstarch into the dye which will prevent it from dripping down to the rest of your hair. Now you need to section your hair. Create a middle part that runs to the back of your head. Split the hair into four main sections – two in front of the ears and two in back. It is recommended to start at the back sections as the colour will sit there for longer and get a bit darker. It is better if you leave your hair down instead of twisting it to the bun. The colour will be more even. Before you rinse the colour, add a little water and mush your hair with your hands for a few seconds. Do not forget to use the conditioner, without this final touch the cuticle will stay open, and the colour could end up much darker than you wanted. Use the conditioner included in the box. If your hair ends up too dark, the best thing to do is to wash your hair immediately with a clarifying shampoo (I suggest Alfaparf Milano Shampoo) mixed with a tablespoon of baking soda and let it sit for five minutes. If your hair is too light, you need to add more dye, a shade darker than the one you started with. The best is to leave the colour on for half of the time indicated on the box. If your hair turns green from dyeing, you should wash your hair with a clarifying shampoo or with ketchup as the red counteracts the green colour and it helps neutralize the reaction. 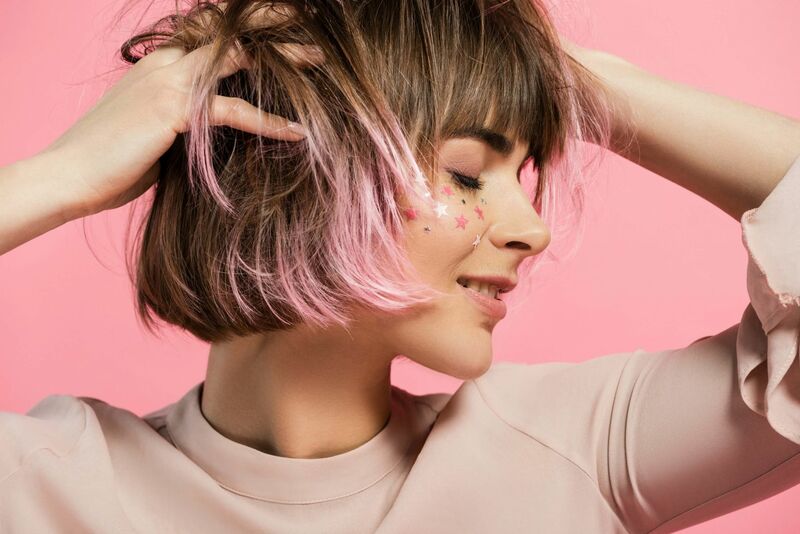 To keep the hair colour perfect for even longer, keep in mind water is hair colour’s worst enemy, skip washing from time to time and use a dry shampoo instead. If needed, use only as little shampoo as possible. Once a week, use a deep conditioner and air-dry if possible. You should protect your new hair also against UV, prevent from bleaching your colour using a protective spray such as Phyto PhytoPlage. Do you colour your hair at home? "Top 3 Home Beauty Treatments For New Mums"
"Win An Appleyard London Scented Garden Bouquet"
I’ve been dyeing my hair at home for the last 30 years, I can’t even begin to think of the amount I’ve saved compared to going to a salon every month!